Special screening of 'Satyagraha' for Anna Hazare team? 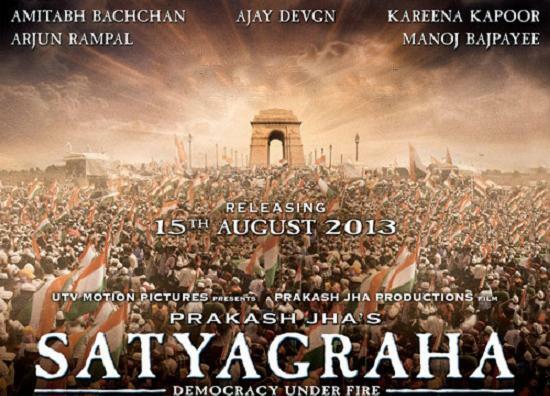 Mumbai, July 23 : Reports claiming that Prakash Jha's upcoming film "Satyagraha" is inspired by Anna Hazare's movement seems to have made the members of the social activist's team curious who are said to have placed a request to watch the political drama. "We have our eyes on 'Satyagraha' no matter what the director says. We know that the film is inspired by the Anna' movement and that Amitabh Bachchan is playing Anna. We just want to ensure that Anna or the movement is not being criticised," said a source. The trailer of the film urges people to stand up for their rights. When contacted Jha, he said: "I am not being judgemental about Anna or the movement. 'Satyagraha' is inspired by facts, but it's a fictional take. The film is not about Anna Hazare or his movement. If a direct request from Anna comes to us, we will look into it."